MORCEM ELASTIC PM is a single component liquid polyurethane resin, with an optional accelerator. Cures forming a flexible elastomeric membrane, hard and weather resistant, and which has waterproofing properties. Applied cold with a brush, roller or spray gun. Resistant to weather, ultraviolet radiation and frost. Permeable to vapour (unlike bituminous or PVC coatings). Excellent extension: greater than 900%. Can be used to bridge cracks if applied with the minimum required thickness. Excellent resistance to wear, abrasion and perforation. 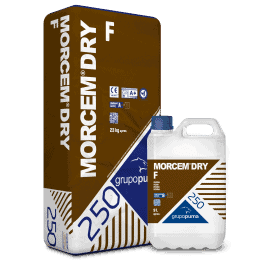 Resistant to salt water, sewage, petroleum, oils, acid rain and mildly acidic liquids.  It can be used on wet concrete, masonry, steel, wood and other surfaces. Waterproofing roofs, insulating foam and rock wool panels. Waterproofing flower beds and garden areas. Waterproofing concrete construction like bridges, tunnels, etc. The support must be sound, clean, and free of grease, oils, dust and poorly adhered parts that would make adherence difficult. The support must be structurally solid. Cleaning with high pressure water is not recommended due to the residual moisture of this treatment. Treat surface with a sand blast. Cracks and damaged concrete have to be repaired beforehand with MORCEMREST R-15. Mix and remove MORCEM ELASTIC PM manually or in a low revolution electric mixer (less than 300 rpm). For cold temperature applications, and for faster curing times, use a 2-4% accelerator. Apply with a roller, brush or spray equipment without air. The nozzle of the spray equipment should be 5/33″. Filters and suction hoses are not needed. All hoses should be 3/8″ diameter. A conventional 60/1 spray gun is recommended. Application of IMPLAREST EP primer is always recommended to neutralize porosity and moisture of the support. Apply 2/3 layers of product with a total maximum thickness of 2 mm. Apply the second layer after 12 to 24 hours since the application of the first layer, once it is completely dry. In case of using a set accelerator, wait 3 to 4 hours. For compound curves on corners, wall/floor joints and other details, it is recommeded that a strip of Reinforcing Mesh be applied to reinforce the joint. 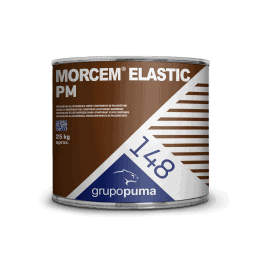 MORCEM ELASTIC PM is rainproof in 4 hours from application. Suitable for light pedestrian traffic in 24 hours from installation. 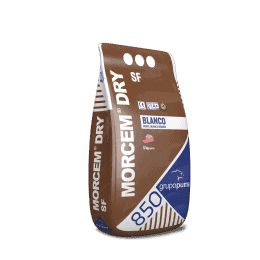 Protect from wind, freezing temperatures and sun during application and hardening. If the cured membrane will be used for contact with potable water, the surface must be thoroughly cleaned to ensure that all the solvents have been entirely eliminated. MORCEM ELASTIC PM should only be applied when the temperature is constant or decreasing. Never apply in layers more than 0.6 mm thick (dry thickness). Tools should be cleaned with solvent immediately after use to prevent the material from hardening. Prevent dew-point temperatures during the first hours after application. 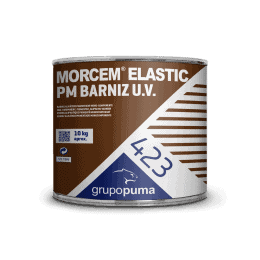 MORCEM ELASTIC PM is sold in 6 kg and 25 kg metal containers.Accelerator sold in 0.24 kg and 1 kg cans.Shelf life: 9 months in sealed original packaging, sheltered from weather conditions and humidity. Instructions of use are given based on our testing and knowledge and do not imply any commitment. Said instructions do not free the user from examining and verifying the product for its correct use.The manufacturer’s liability is limited to the value of the used goods. Complaints must be accompanied with the originall package to allow proper traceability. 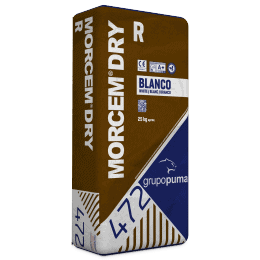 Yield: 1.5 kg/m² to 2.5 kg/m² (application thickness of 1.1 to 2 mm). The amount will depend on the roughness of the support.